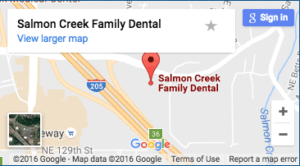 Here at Salmon Creek Family Dental, we want to wish you a happy holiday and hope that you and your loved ones enjoy this Labor Day. This holiday weekend, like most other holidays, is a great time to relax and connect with family and friends. However, holidays are also a time when many of us eat extra food and use the “holiday” as an excuse to eat as much as we want without thinking about our health consequences. Fall is among us, so why not make healthy eating choices now, so you can have a good head start on the next few months. Many people gain weight in the fall and winter months, because of the extra holidays and colder weather, which makes people want to stay indoors. Since fall is getting started it is important to make healthy choices through the weekend. You might as well focus on good foods starting this weekend. Of course Labor Day weekend is the last summer shabang, but that doesn’t mean you have to go all crazy and eat whatever you want. You can pick healthy foods that are good for your health and teeth. Doctor Nelson, an expert in dentistry for children in Salmon Creek, WA, often educates patients about the best and worst foods for your teeth. Researchers at the University of Washington School of Dentistry discovered that diets that damage teeth might also be bad for the body. The Doctor knows that foods that contain high sugar levels have long been thought to damage teeth. These same sugars can damage other aspects of your body. This Labor Day, you may be inclined to over eat. But before you do, think about your teeth and how your actions now, can impact the health of your teeth in the future. Make wise choices now for a happy healthy month. Avoid BBQ sauce on you meat. It is loaded with sugar that can damage your teeth. BBQ sauce can make your foods taste great, but it is not healthy for your smile. The sugars in the sauce can penetrate into your teeth and cause tooth decay. Try to limit or remove added condiments from your diet. Labor Day is all about the tasty foods, like ribs, hamburgers, and hot dogs galore. But this weekend put your future self into the present and think of how healthy and happy you will feel after the weekend is over if you choose not to overindulge. Instead of eating all the regular meats, pick fish. Fish is extremely high in powerful nutrients; it will help keep not only your body in shape but also your teeth and gums. We found a recent study that shows that eating fish and consuming fish oil may help reduce symptoms of periodontitis, inflammation of the tissue surrounding the teeth. We always ask out patients about their diet, because it does play an important role in your oral health. There are many benefits of eating a healthy diet. And although the holiday is here, recognize that you can still have a great weekend and pick foods and beverages that are good for you and your teeth. After all, by making healthy choices now, you will be smiling long after the festivities are over. Happy Labor Day from all of us at Salmon Creek Dental. May you be happy and healthy. ← Do You Have a Bad Bite?